Egypt and the United Nations (UN) are considering a number of development projects valued at $1.2 billion within the framework of their strategic partnership until 2020, the Egyptian investment minister said on Tuesday. 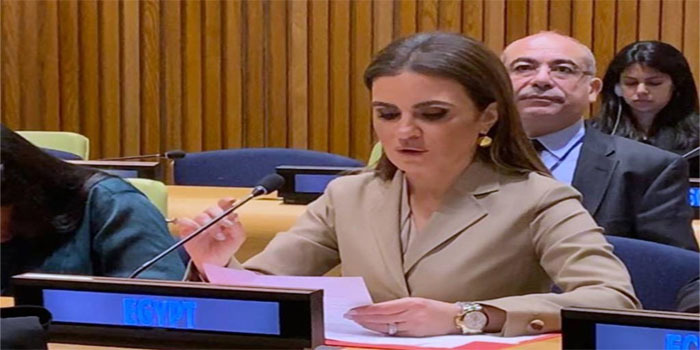 Under this partnership, both parties will join forces to develop the governorates of Sinai and Upper Egypt, upgrade the wastewater system, improve education and healthcare sectors, and empower Egyptian women, Sahar Nasr added in a statement. This came during a meeting between the Egyptian minister and Amina Mohammed, the deputy secretary-general of the UN, on the sidelines of the UN Economic and Social Council’s (ECOSOC) Forum on Financing for Development. For her part, Amina Mohammed said that the reform programme has improved the Egyptian economy as the positive indicators showed in the past period. Egypt is playing a vital role in both the regional and international levels under its presidency of the African Union (AU), Mohammed stressed. She also noted that the North African state has become a role model for the economic reforms in Africa as it has topped the continent in terms of the direct foreign investment rate.